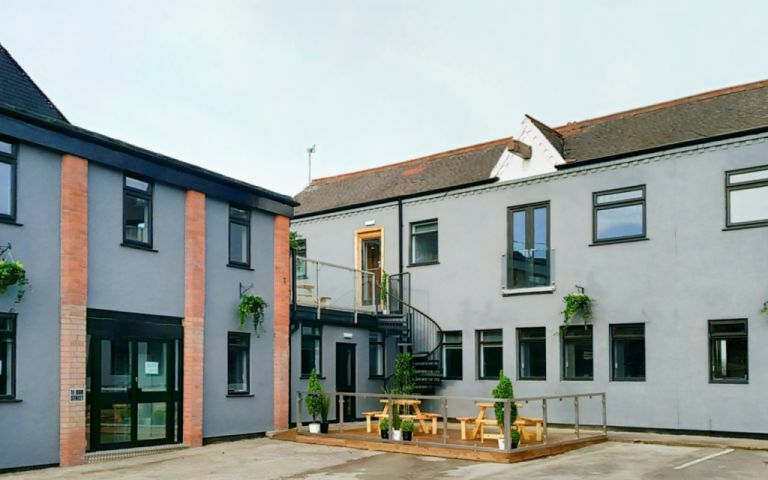 Serviced offices within a former factory that offers contemporary accommodation with original industrial features. The offices are equipped with handmade furniture, high speed broadband and if required, digital telephones. Access is available 24 hours a day, there is onsite parking, cycle storage and a manned reception. Meeting room use is included within your package and comes complete with a smart TV, Wi-Fi, flipcharts and free drinks. There are kitchen facilities, breakout areas and a green balcony with seating, perfect for informal meetings or for taking a break away from your desk. The serviced offices are within walking distance of Nottingham City Centre. Situated in Carrington, they are surrounded by small quirky shops, pubs, cafes and restaurants with excellent transport links.